The Nagele Energy Masterplan was one of the strategic plans shortlisted for the Nagele Energy Lab competition. “Energy is no longer something abstract coming from far away but something that everyone could welcome in his back yard”. FABRICations and BETA office envision Nagele as the place where the transition to sustainable energy generates new forms of cohesion and sharing. The question to resolve this transition in the village of Nagele adds a cultural dimension to this challenge. 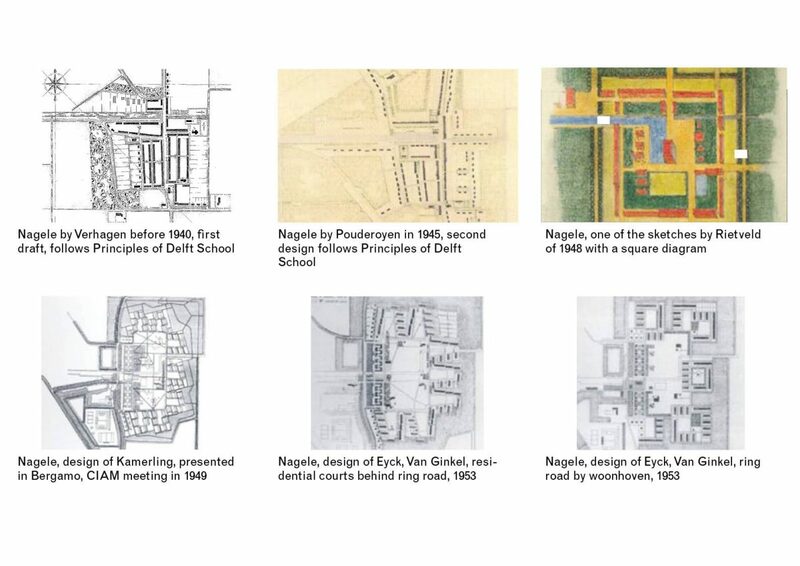 Not only must the transition be reconciled within the social micro cosmos of a functioning village, but also Nagele happens to be one of the most renowned, purely executed and best-preserved examples of Modernist architecture in the Netherlands. Nagele as we know it is a built snapshot of a rich and ongoing design process involving architects such as Gerrit Rietveld, Mart Kamerling, Mien Ruys and Aldo van Eyck. The numerous and well-documented design iterations reveal the core concepts behind the design and offer suggestions on how to incorporate profound change in this monument of Modernism. While tempting, the addition of solar panels, double glazing and thick layers of insulation would make Nagele unrecognizable as the pole-bearer of the post-war reconstruction effort. Where the original architects addressed the reconstruction effort through a radically new urban form and the implementation of new construction techniques, Nagele could once more serve as an example for the challenge of our time – the energy transition – by adding a complementary layer to the original endeavor. Nagele Energy Masterplan is a framework which connects different energy initiatives to the social and spatial fabric of Nagele. 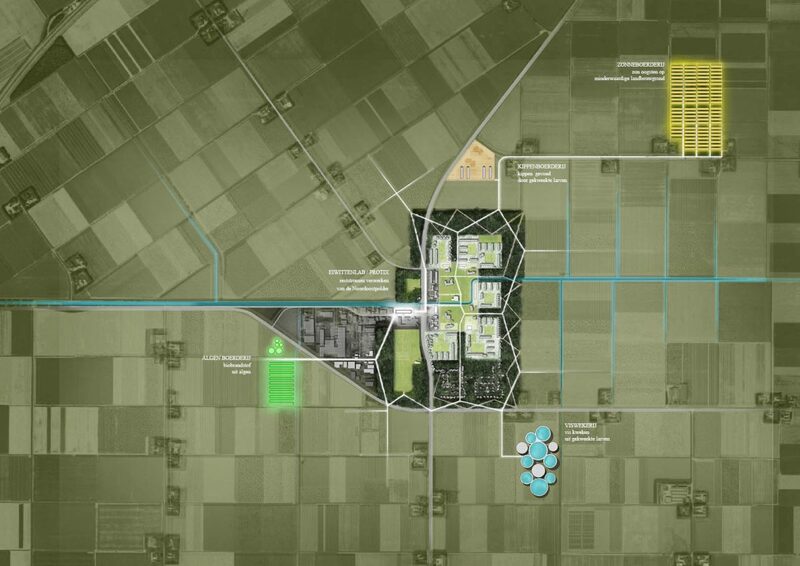 It aims to reinvigorate the economic relationship between Nagele and the Noordoostpolder in the legacy of its original design principles. 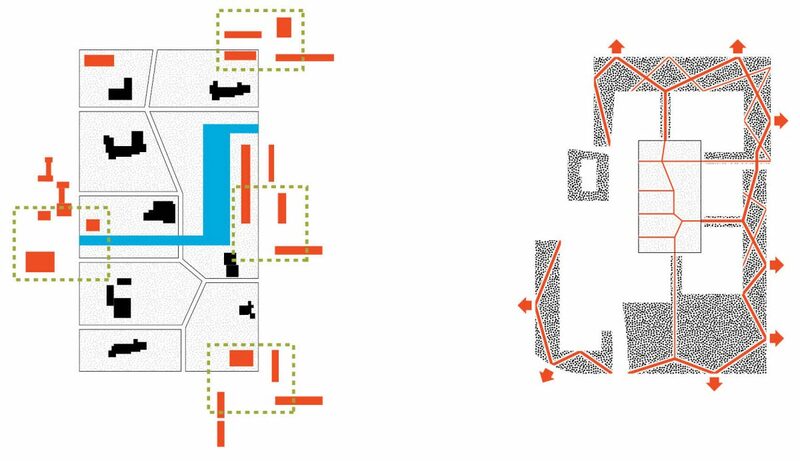 At the core of this masterplan lies the reciprocal development of collective facilities in the village core and large- scale energy production beyond the forest fringe. A zoning scheme welcomes an array of energy landscapes to the forest fringe of Nagele. 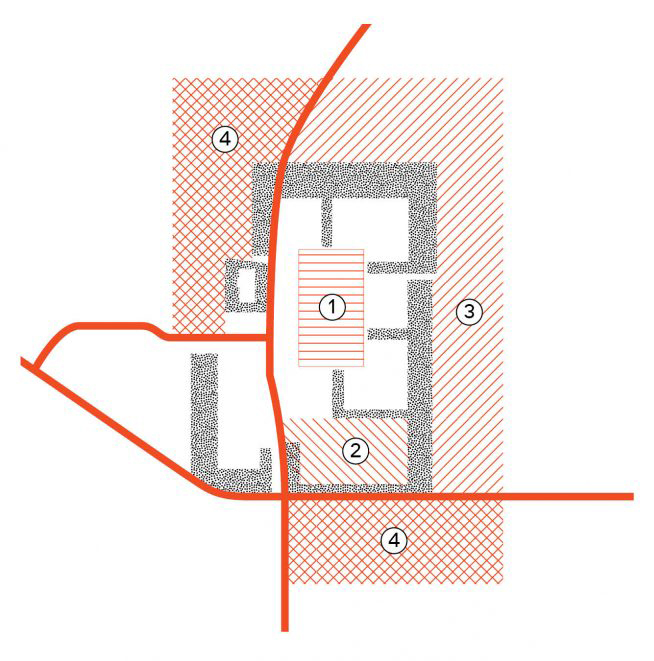 Simultaneously, the unique dimensions of the central green space provoke its redefinition into an innovation campus, fostering exchange between residents and entrepeneurs. 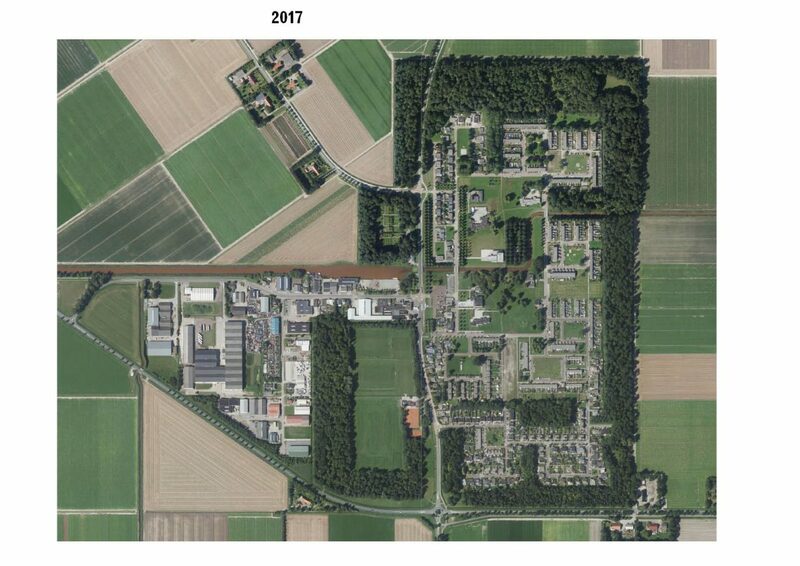 Between ‘core’ and ‘district’, a reworked version of Aldo van Eyck’s path design is both real and a metaphor for the newfound relationship between village and landscape. The central green space was once conceived as a gathering place for different walks of life, containing an array of churches and schools. Nagele Energy Masterplan aims to give this space new meaning, charging it with new use and users. Innovation is fueled through efforts on the part of regulation and the promise of a fertile dialogue between population and innovative entrepeneurs. Once the cradle of the post-war architecture reconstruction effort, Nagele can once more serve as a ‘living lab’ for the challenge of our time. Master plan with dual development space. Energy production and production outside the windbreak, knowledge development, exchange and division on the revitalized village meadow. This new economy makes it possible to invest in restoration, preservation and renewal. 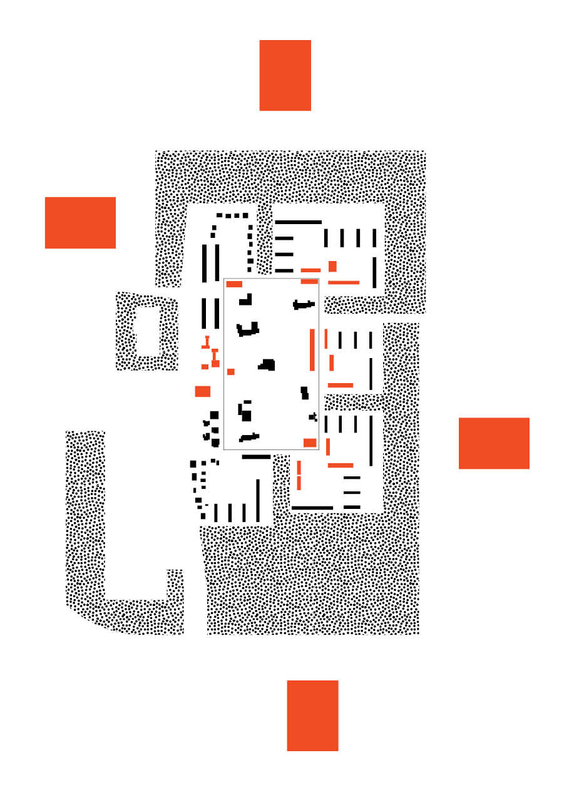 Left: Organization chart of ‘de 8’ and ‘Opbouw’ for Nagele (1954): Nagele as a connector through ‘open space’ within a protective shell of green. Right: Organization chart for Nagele Back to the Future: Nagele as a connector through the development of its own interior space and connection to new activities outside the green shell. The village meadow, an area that is almost exactly the same size as the campus of Tilburg University, contains underused space as evidenced by the design history. This potential is used to facilitate all the joint, shared and complementary program of new energy players so that a campus is created in which learning, meeting, spiritual expansion and exchange arise. A new variant of the original pathway between campus and energy landscapes is realized. Room for deepening and exchange takes place in the village meadow that will work as a campus (1). By densifying the green structure south of the original village, unique living qualities arise (2). Material and energy landscapes are welcomed in two zones up to the windbreak. The area to the east is suitable for activities with little logistic pressure (3). The areas to the north and south are suitable for activities with a higher logistic pressure.